The day the bluebirds died. On the 6th June 2012, the football club I loved announced it was completely ‘rebranding’ itself in an attempt to appeal to the Asian market. This followed many weeks of speculation about such a change, with the news initially breaking just minutes after the full time whistle had blown on the final game of the 2011/12 season. After overwhelming initial opposition to the changes, the club released a statement saying that they had listened to the wishes of the fans, and the club would play in blue for the upcoming season, with a traditional bluebird badge. The night before the news of the confirmation of the rebrand, strong rumours suggested that an announcement from the club would be made, giving me some time to think about what I would do should my worst fears be confirmed. The decision to walk away from the club would not be an easy one. 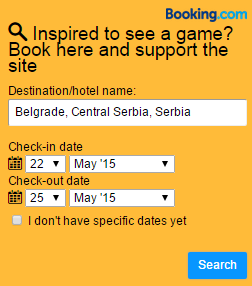 I’d held a season ticket since the age of 14, and made it to at least 20 away games every season since that time. Cardiff City was undeniably a huge part of my life. Despite this, I knew that I would be unable to watch Cardiff throw away their history to such a degree. To me, a football club is so much more than just the players who happen to pull on the shirt at any one time. If you don’t believe in the identity of your club and simply enjoy success, everyone in the world might as well support Barcelona. Whether you support Bayern Munich or Barry Town, Real Madrid or Rotherham, you should always be proud of your club and what it stands for. As the rebrand was confirmed, the only overwhelming emotions I felt about Cardiff City were shame and anger. Shame that the club I loved had sold their soul so spectacularly, and anger that the owners were going to get away with it. I decided straight away that I would be boycotting the club until sense was restored and they played in a blue home kit with a bluebird on the badge. Even at this stage, in my heart I never truly expected Cardiff to play a game in red. Surely enough of the fanbase would feel the same way as me that the pressure on the club would force them into reconsidering. An hour after the rebrand was announced I headed to Cardiff City stadium, making my own protest by tying my ‘Bluebirds’ scarf to the Ninian Park gates and paying tribute to the bluebird with a blue smokebomb. With the fans willing to accept the rebrand far outnumbering those who wanted to protest by at least 50 to 1, it seemed there was very little point in continuing to protest against the changes. I instead stepped away from the club completely, to the stage where I have not even seen Cardiff City play on Sky Sports or the Football League Show this season. The only glimpses I had of the stadium was through social media, and with the majority of my friends feeling the same way as me about the rebrand, even this was very rare. In the images I did see, the majority of fans were reassuringly wearing blue, or at least any colour other than red. As the months went on and Cardiff won more and more games, the dissenting voices against the rebrand continued to dwindle. “Who cares about history, we’re top of the league” and “it’s only a colour” were phrases seen in various places across the internet. It didn’t matter to me if Cardiff were top of the Championship, bottom of League Two or winning the Champions League, I could still never watch them in red. This meant I was never tempted to break the boycott, however in my heart at this stage I was still confident that Cardiff City would one day be back in blue with a bluebird on their shirts. It was not until the 19th February 2013 that this changed for good. It was announced that the club would be presenting every fan who attended the home fixture against Brighton and Hove Albion with a free red scarf. This ‘generous gift’ (or cynical marketing ploy) was met with wide outrage by many Cardiff City fans, with many far angrier than when the rebrand had initially happened. It seemed for a lot of supporters it was one thing for the players to be made to wear red, but forcing it down the throats of the fans was quite another thing. There was much talk of protests against these scarves, with some fans planning to throw them on the pitch, while others vowed to reject the scarf and wear as much blue as possible. For the first time in several months, I felt like I could identify with the majority of Cardiff City fans. It was coming a lot later than I expected, but the ‘fire and passion’ from fans to protest was finally there. Posters for ‘Blue Tuesday’ were distributed, while social media was abuzz with promises to rebel against the scarves. For the first time all season I was excited about a Cardiff City game. The garish scarves (which didn’t even include the correct name of the club and featured a red bluebird) would surely be rejected en masse, and the fans of Cardiff City would show pride in their heritage and tradition. The door to a return to blue looked more open than ever. I kept Twitter open to monitor the protests that would take place against the attempted execution of the bluebird and the rise of the dragon, however it soon became clear that this was not the case. The much talked about protests failed to emerge, and instead the stadium was a sea of red. 90% of fans within the ground were proudly showing their fire and passion for the Vincent Tan revolution. The images rolling in of the stadium genuinely looked more like Anfield than Cardiff City Stadium, and it was clear that the Cardiff City I had once loved so dearly was dead. I can only compare the situation to Winston Smith’s realisation at the end of Nineteen Eighty-Four, betraying Julia and learning to love Big Brother. 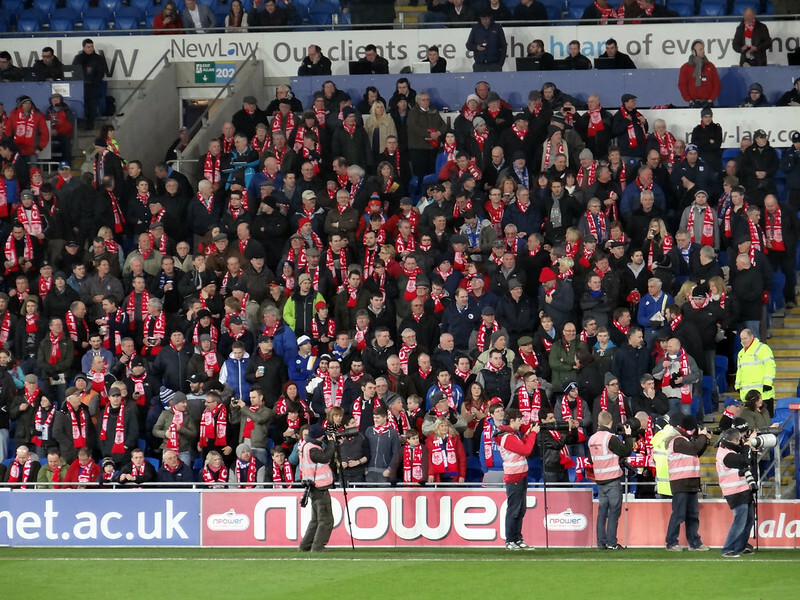 The vast majority of Cardiff City fans inside the stadium had shown that far from being ‘reluctant reds’, they had come to love the new club founded by Vincent Tan in 2012. 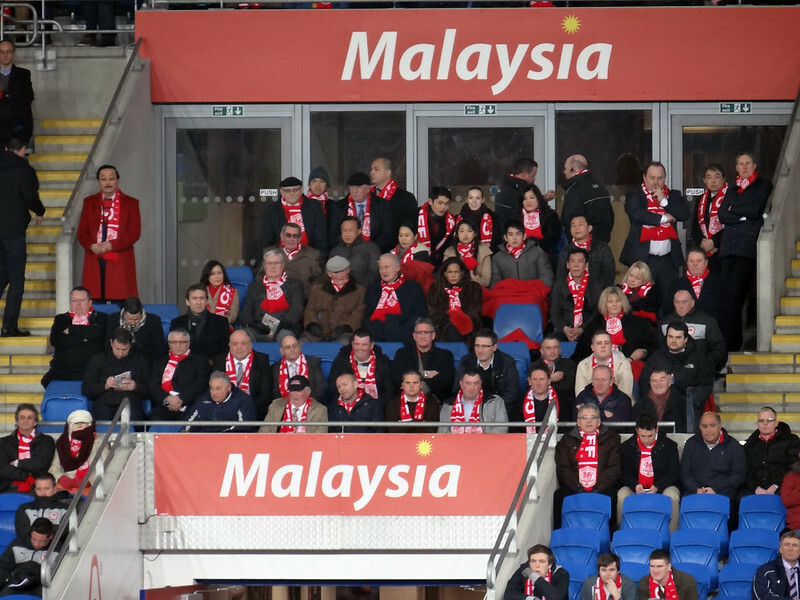 The Malaysian version of Big Brother was watching on from the director’s box, and as he looked around the stadium at a sea of red, it was clear he had won. Who knows what will happen next to the club I used to know, with further changes seeing inevitable. From red seats at the stadium to a name change, nothing seems impossible. The bluebird was sacrificed on that cold Tuesday night in February, ending any façade of the rebrand being a temporary measure. For a number of fans, this was the final straw. For countless more, it was just another game. I have no ill feeling whatsoever towards those who continue to support the club, but as they wave their red scarves when Cardiff are inevitably promoted at the end of the season, a part of them will surely have to consider whether the price they have paid for glory was really worth it. Brighton won the game 2 – 0, but it was far more than just three points lost for the home side at Cardiff City Stadium. Fans filed into the night past the statue of Fred Keenor, a stark reminder of the clubs history so wilfully cast aside in the pursuit of success. To slightly adapt my favourite chant during my time following the club, this truly was the day they took my Cardiff away. Cardiff City Football Club, the Bluebirds. Born 1910, died 2013. Posted on February 21, 2013, in General and tagged Cardiff City, Cardiff City boycott, Cardiff City rebrand, Cardiff City red, Cardiff City red scarves. Bookmark the permalink. 2 Comments.